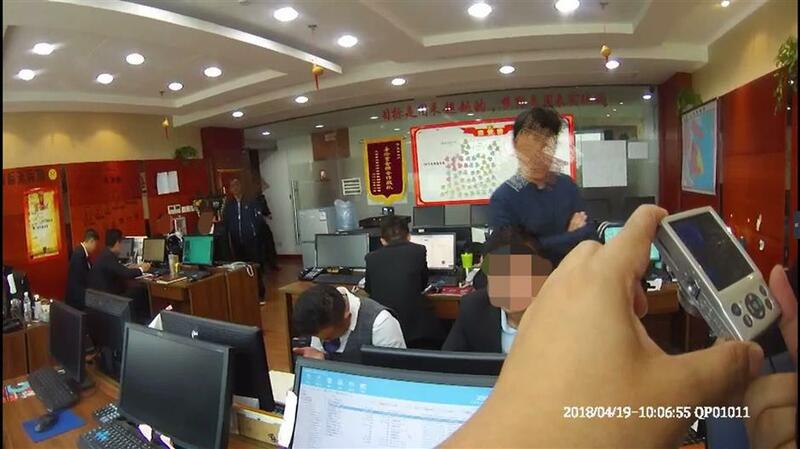 Police in suburban Qingpu District detain six for allegedly using leaked personal data to sell real estate. Six suspects have been detained for allegedly using illegally acquired personal information to sell real estate, Shanghai police said on Wednesday. Police discovered over 200,000 items of information from the gang. The investigation began in suburban Qingpu District at the end of March when police spotted an unusual real estate agency in Zhaoxiang Town. Unlike most other real estate agencies which are located in populous areas and facing the street, this one was hidden on the third floor of a six-story building which used to be a factory. On top of that, hardly any clients visited the agency, and its approximately 20 staffers seemed to be on the phone all day long, police said. Police inspected the agency's office on April 19 and found that all staff computers had software which contained a large number of personal information. Qingpu police raid the gang's office in a former factory building on April 19. The source of the information was suspicious because the data seemingly related to clients of businesses which had nothing to do with real estate, such as car insurance, securities and banking. A man surnamed Du, who allegedly hired other suspects to run the business, confessed to "purchasing and accepting" personal data for employees of the company to use in the sale of real estate in Shanghai, Zhejiang and Jiangsu provinces.